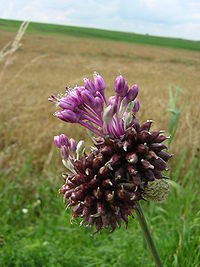 Field Garlic (Allium vineale) is a plant that I smelled long before I actually identified and used. I remember as a young boy cutting my the grass and smelling the distinct odor of onions (or what I though was onion) and wondering where it came from. It wasn’t until years later that I discovered it was in many cases field garlic (some were actually wild onion as well). The first step before eating any wild edible is to positively identify it. Since Field Garlic has some poisonous look-a-likes (most notably Star of Bethlehem), it’s very important you learn to positively identify this plant before attempting to consume it. Long, narrow leaves growing in bunches: Since the leaves emerge from layered, underground bulbs, you’ll usually see the leaves in bunches. They average around 1 to 3 feet tall. 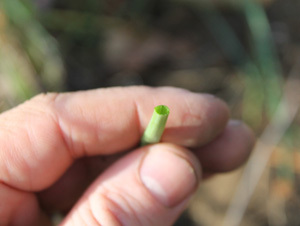 Hollow leaves: From a distance it may look like grass but upon close inspection when torn you’ll notice that the leaves are hollow and tube-like similar to chives. Underground bulbs: When you dig around the base and pull up the plant you’ll see it attached to a bulb (this picture shows multiple plants and bulbs). Umbrella-like flower clusters: In late spring and summer you can find the purplish flower-heads containing clusters of tiny six-petaled flowers. Smells “onion-like” when bruised or broken: This is the best way to distinguish the Alliums from its poisonous look-a-likes. If there’s no smell or doesn’t smell like onion IT’S NOT AN ALLIUM!! 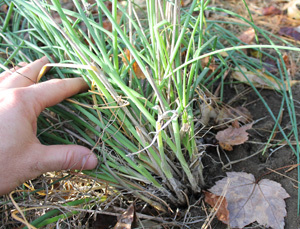 You can find Field Garlic on lawns, in backyards, on disturbed soil, and in open woods throughout its range. 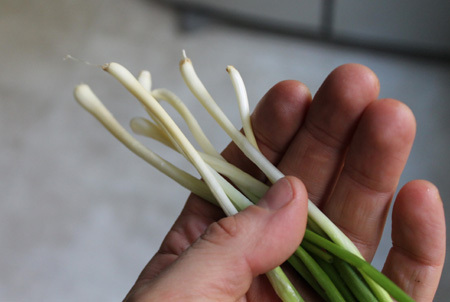 After cleaning, you can use Field Garlic’s bulbs in any recipe that calls for garlic or onion and the leaves can be chopped like and used in the place of chives. 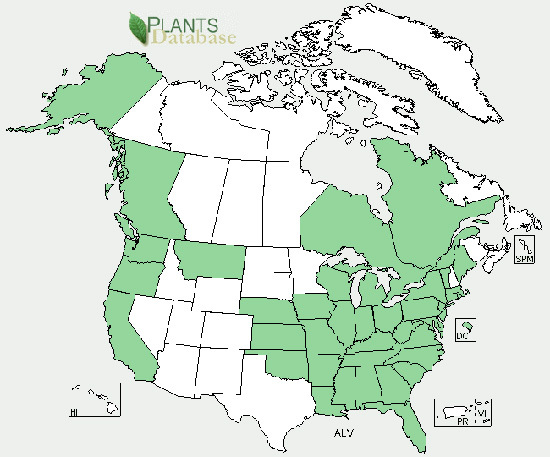 Unfortunately as the map shows these aren’t in Minnesota, but we do have an alternative called ramps, or commonly called wild leeks. They’re an early to mid-spring foraging find (once the other forest plants start growing knee-high, these become exceedingly hard to find). Usually if you have a bad day morel mushroom hunting, at least you’ll find a few of these. Or on a good day, mix the two together in your butter sautee! Just wanted to say thanks for this. Always grateful to learn more about edible plants. You’re very welcome Pat. Thanks for visiting! 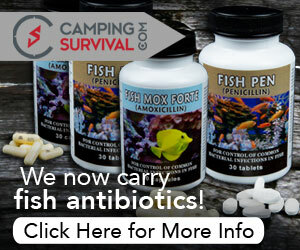 I have tried to transplant these and other wild edibles on my bug out trail. It has taken three years to get them started,but now they seem to have taken hold. 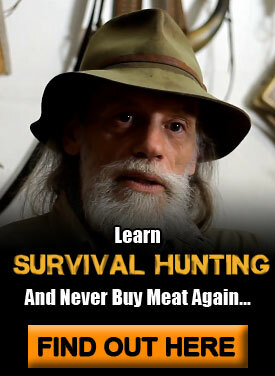 I think that this stratagy will allow for grazing along the bug out trail. For those who want to free graze their stock be mindful that milk animals will develop an off taste from eating any allum wild or tame. Jean, If you’re planting onions on your bug-out trail, try planting some “Top-setting” Egyptian Walking Onions, or something similar. 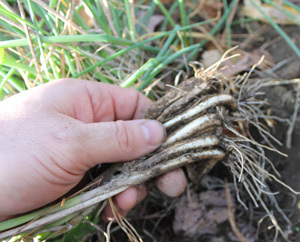 They produce bigger bulbs and stalks than wild garlic, and self-propagate when the stalks fall over and allow the “Baby bulbs” on top to take root. They are also great in the garden… The bulbs are not large, but usually suffice unless you need a lot of onion. The greens are tender and delicious. I have fields full of those blasted things, cows eat them and the milk taste like onion. However an old dairy farmer let me know how to take care of the problem. peel a irish potato and drop into the milk. the flavor is soaked up by the potato in a few hours.Don’t waste the potato, go ahead and fry it up after cleaning the milk, the flavor is not bad. Is it possible to dehydrate these and save them for a seasoning? Better add Texas to that map, or at least East Texas. They’re all over out here in the woods. Discovered a buncha these in the lawn behind the baracks 35 yrs ago in boot camp at Ft. Jackson. After a serious ‘mow’ on ‘wild onions’ we got called to formation. fearful of what Drill might say if smelled onion on our breaths we doused our teeth with toothpaste to cover the odor. WARNING: Do NOT mix toothpaste with wild onion! The result is worse than OJ after brushing yer teeth! showing us what to look for to identify the plant. LOL! Apparently we New Hampshire folks have scared all the field garlic away. Yeah, I found that amusing that the range map left out NH. I can’t believe that it is not in NH since I’m so close to the border of NH and we have so much of it here. I purchased a few dozen nuts of various kinds and planted them as I hiked along. It will take ten years for the trees to bear nuts. I had good results with planting hazelnuts in a planter & leaving it in the dark in a bacement. I had read that the trick to planting nuts is to place them in a freezer for up to ?6 weeks. Maybe the freezing causes a sliver of a crack to open the nut. I went crazy freezing peach, pear, olive, cherry (which requires two different types to yield fruit planted together) and small nuts from the orient that are about the size of a pingball ball just in case the growing season gets smaller. I spread out weeds like milkweed, thistle and thorn for the bees and birds and Docks for me…I love cooked Docks (wild swiss chard). I’m afraid to try onions. A wild animal ate my rhubarb and the leaves off of my two grape roots. Something took off with one of my fruit trees that I had planted, never did find it and two other trees are being attacked by the fungus which means that I need to was the trunks with lime and plant ashes around the base by two feet. Maybe the nuts will fair better. Out of about a hundred, maybe I mite get at least one or two nut trees. Perfect timing for me to see your comment! 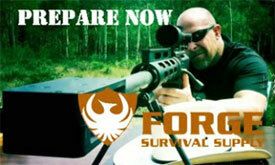 I’ll be checking out you’re Kickstarter page! There is definately a lott to find out about this issue. I like all of thhe points you made.